The site is located in a strategic redevelopment area including the Springvale Municipal Precinct. The townhouses, designed by Bruce Henderson Architects, provide high levels of internal amenity for residents while responding to the sites unique interfaces. 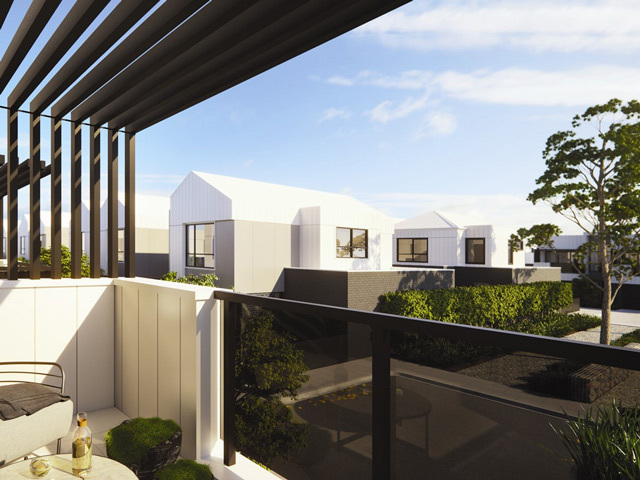 The project sets a new benchmark for medium density housing in the area, and has been awarded the City of Greater Dandenong’s Sustainable Development Award for residential development. The permit provides for 98, two and three storey townhouses, large communal landscaped open space areas and excellent pedestrian connectivity.